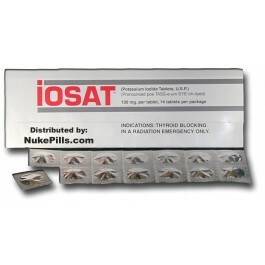 • IOSAT (Potassium iodide tablet, USP) is a thyroid blocking medicine that is used in a nuclear radiation emergency only. • Tablets can be crushed and mixed in many liquids. 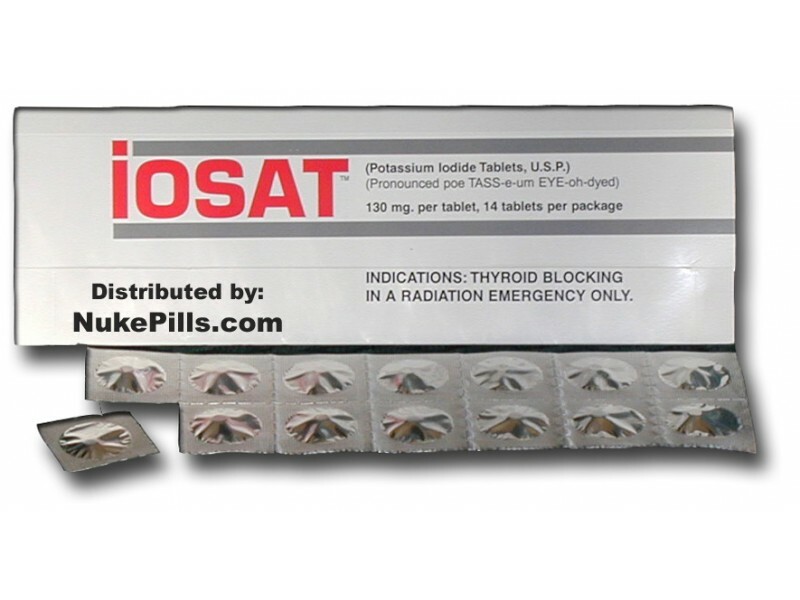 iOSAT Potassium Iodide is the first “Radiation Protective” or Thyroid Blocking” agent to be sold directly to the general public. Its active ingredient, 130 mg. of potassium iodide (KI), gives virtually complete protection from the most feared consequence of a nuclear accident – a meltdown and release of radioactive iodine into the environment. Radioactive iodine (primarily I-131) is a waste product of nuclear fission produced in reactors and bombs. Its potential impact on human health is staggering, and it could affect more people (perhaps far more people) than all other radioactive sources combined. US Nuclear Regulatory Commission (NRC) reports indicate that a major release could injure hundreds of thousands of people, and many believe that the government is underestimating the danger. iOSAT TM Tablets are FDA approved for seven years and should be stored unopened in a dry environment at room temperature.